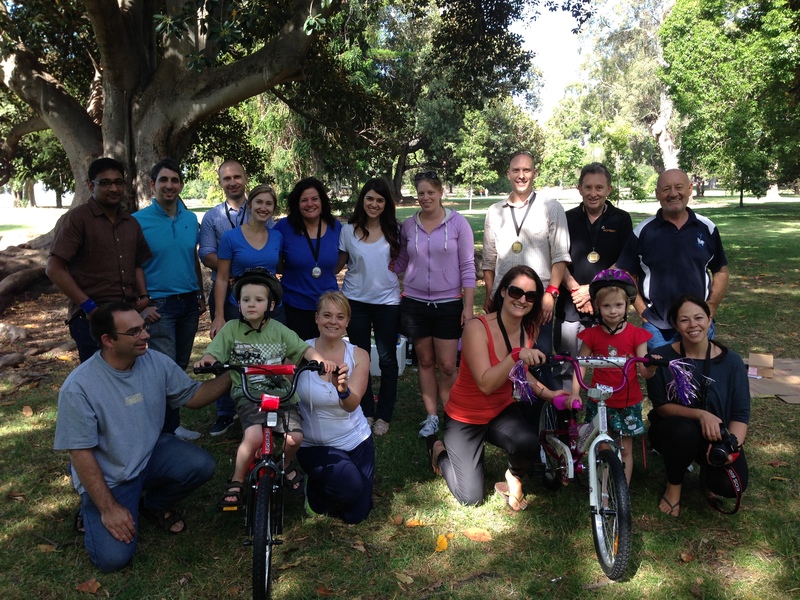 The team from Konekt found a fantastic way to give back to the community when they competed in our Charity Bike Build program at Adelaide Botanic Park on Friday. Splitting into 2 teams, they both fiercely competed to be the team to build the best bike the quickest. With the winning team announced and medals presented, they discovered what the real result of their hard work had all been for. The Konekt group got to donate their 2 bikes to 2 very deserving kids from Heartkids SA. Hannah & Zachary along with the team from Heartkids were very appreciative of this most generous gesture and what a fantastic early XMAS present for both kids to enjoy this year. In conjunction with an opportunity to assist your team to work together more effectively, seeing the smiles on these kids faces really makes our Charity Bike Build program the pick of the year!